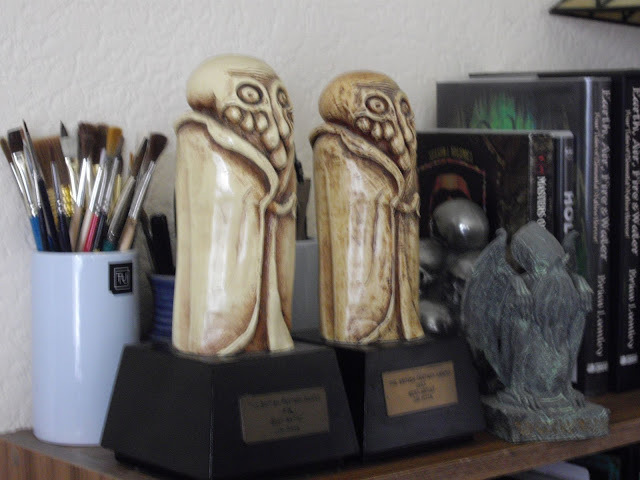 Not many people win a British Fantasy Award, given out each year at Fantasycon. Fewer still win twice. Jim Pitts is one of those few, winning the award for Best Artist in 1992 and 1993. Although these were designed by fellow artist, Dave Carson, the original British Fantasy Award was a statuette designed by Jim. It wasn't only in the world of fantasy that Jim artistic merit was recognised. 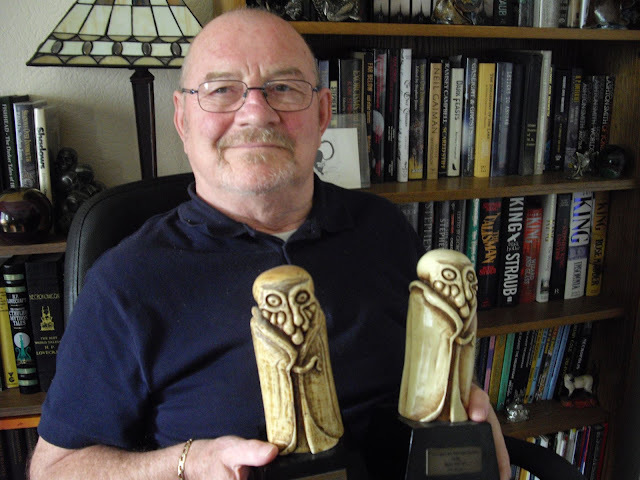 Years earlier he won the Ken McIntyre Award at the annual British Science Fiction Convention (Eastercon) held in Chester in 1972.